An original action adventure game with survival elements, developed by Might and Delight. The player controls a female badger trying to survive in a hostile environment with several offspring to feed. 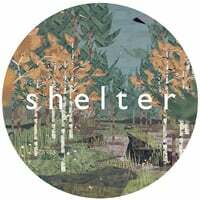 Shelter is a third-person perspective game. Shelter for PC is an unusual action-adventure game focused on survival. The game was developed by Might and Delight - the creators of a platformer game Pid. In Shelter for PC the player takes control over a female badger with a few young ones to take care about. The player's task is to search for an appropriate place for a den. It is not easy, for the player has to keep safety of the small badgers in mind at all times. The gameplay is set in a forest where hunters and predators are common. The female badger stands no real chances against such dangers, thus the player primarily has to avoid predators, hunters and their dogs. Moreover, the environment itself poses different threats, such as fast-flowing rivers or steep slopes. One misstep can result in an offspring dying. Shelter for PC is a third person perspective game. Through implementation of mechanisms that force the player to maintain safety of the offspring, the game delivers a truly emotional experience of feeling attached to the small badgers with a certain degree of authenticity. The virtual forest is a dangerous and brutal place, but the creators managed to depict the raw beauty of the nature. This combined with the uniqueness of the visuals creates an atmospheric gaming experience. Game score 8.8 / 10 calculated out of 179 players' votes. Expectations before the premiere: 8.7 / 10 calculated out of 15 players' votes.